Last year, I made these for Christmas and I'll be doing more this year, too. Place your order early! 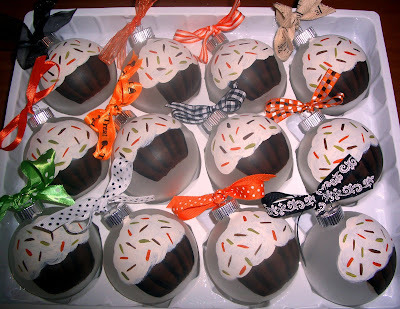 Halloween ornaments are now available on my Ebay! And a new subway art sign for Fall! Linking this up to Tatortots and Jellos' subway art party! And do the CSI Project Fall Challenge!